San Francisco, California – January 30, 2018. Oral Surgery San Francisco and Dr. Alex Rabinovich are proud to announce a new blog post on one of the proverbial “pain points” for those seeking a wisdom teeth extraction, namely the issue of costs. The reality is that many patients just go to a referred oral surgeon, when a little shopping can identify an oral surgeon who may be less expensive, take insurance, and/or provide better quality options. To review the innovative, new post on the cost of wisdom teeth removal in San Francisco, please visit the website. For information specific to wisdom teeth, visit https://www.oralsurgery-sf.com/wisdom-teeth/. Here is background on this release. Many San Franciscans may be concerned about facing a painful and costly procedure to remove their wisdom teeth. A San Francisco Bay Area local may have insurance, or may not. The post reviews several payment plans including monthly credit card payments. Dr. Rabinovich’s clinic has accepted a wide range of insurance plans covering wisdom tooth extraction; with insurance factored in, it may be less expensive than competitive options. For example, Oral Surgery San Francisco can accept, “Care Credit,” which is like a medical credit card that patients can apply for right in the office or on their own. Approval is very quick, usually takes just a few minutes and if patients are approved they get interest free financing for up to 1 year. Another option may be dental insurance. This may cover wisdom teeth as well as general anesthesia that is needed for that treatment. Depending on the policy, dental insurance can significantly reduce the out of pocket cost or in some cases completely eliminate it. A second issue is quality. Oral Surgery can be a stressful experience for Bay Area residents unaware of the latest technology. New advances have helped to make wisdom tooth removal easier and nearly painless in a majority of situations. Patients may be surprised by the short time it can take for both surgery and recovery. Understanding the details about oral surgery can also help calm nerves. A patient could have concerns about the cost of wisdom teeth removal in San Francisco afterwards. Many clinics may not accept some insurance plans raising the price of the procedure greatly. The best oral surgeon may employ a staff ready to help plan the best way to manage the cost of wisdom teeth extraction in San Francisco. For this reason, Dr. Alex Rabinovich, a top-rated oral surgeon in the Bay Area has announced a new timely blog post on the topic. 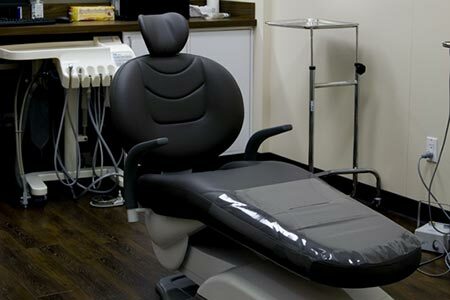 The cost of wisdom teeth extraction in San Francisco could fluctuate depending on the insurance carrier and payment involved. Patients planning to pay for a wisdom tooth removal may benefit from the help of a clinic offering a diverse payment structure. A clinic accepting a vast array of dental insurance carriers can help keep costs reasonable for a patient. Several types of monthly payments including credit cards can simplify billing. Scheduling oral surgery may seem stressful to some Bay Area residents. Planning for the cost of wisdom teeth removal in San Francisco could be painless. Finally, it should be noted that Dr. Rabinovich also provides dental implant surgery options, and more information can be found at that specific website. This entry was posted in Blog and tagged Wisdom Teeth, Wisdom Teeth Extraction San Francisco, Wisdom Teeth San Francisco on January 30, 2018 by Dr Alex Rabinovich.